If you have never heard of the term beat-boxing before, consider yourself accompanied… by me! If you initially thought that it was a sport, well, that makes two of us again. In fact, it’s something entirely different. I actually had to Wikipedia the term just to understand what has been driving the global press crazy after Miss World Philippines 2012 beat-boxed in the inevitable talent competition of the pageant. 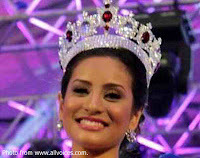 Frankly, I get into beauty pageants only when there’s a Filipina in with a chance of winning. While we have won the Ms. Universe and the Ms. International pageants, the Ms. World continues to be elusive among the pageants that matter. I came to the conclusion a long time ago that it’s a Brit thing that none of our contestants have won this one before. 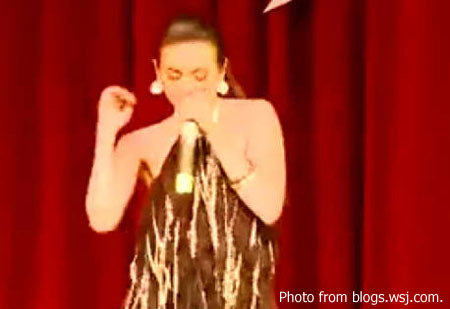 Well, Queenierich Rehman, Miss World Philippines 2012, may yet bring home the bacon after capturing the imagination of the world media with her beat-boxing performance in the pre-pageant now being held in Inner Mongolia. I understand that she did this before during the talent portion of the Miss Philippines pageant. The talent is unusual, to say the least. From the Daily Mail came: “A beauty queen surprised the audience during the Miss World 2012 pageant when she broke off from singing a slow serenade – and started beatboxing.